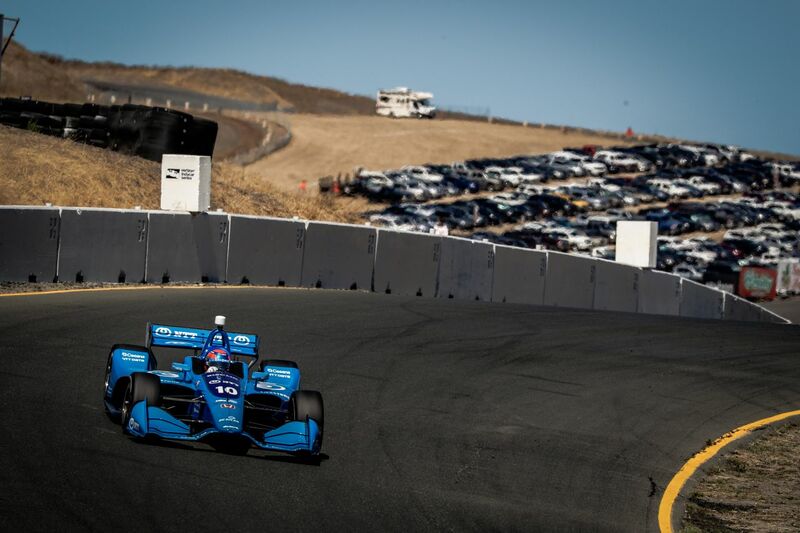 Ed Jones took the fight to some of the Verizon IndyCar Series’ biggest names in the 2018 finale at Sonoma Raceway last weekend (14-16 September), speeding to an eighth top ten finish of his sophomore season at the pinnacle of US open-wheel competition to cap a campaign that he describes as encouraging and frustrating in equal measure. 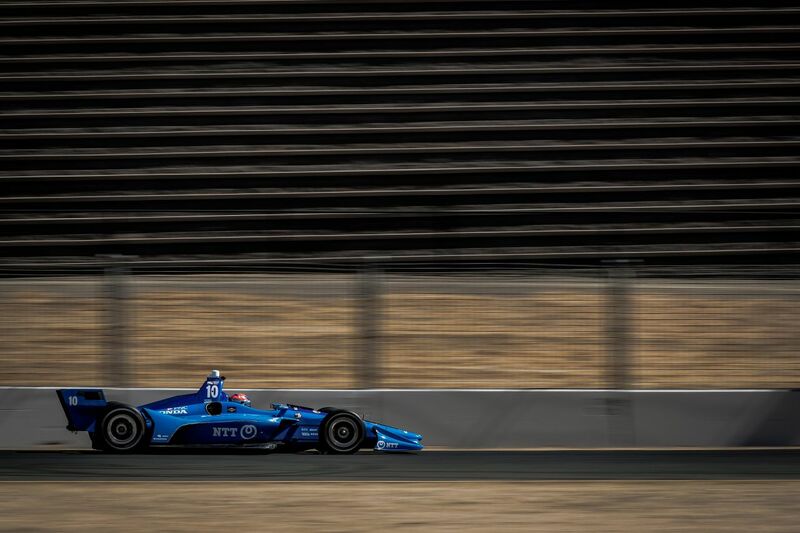 From the moment his No.10 NTT DATA car rolled off the truck and onto the track at Sonoma, the talented young Dubai, UAE-born ace was in the mix. 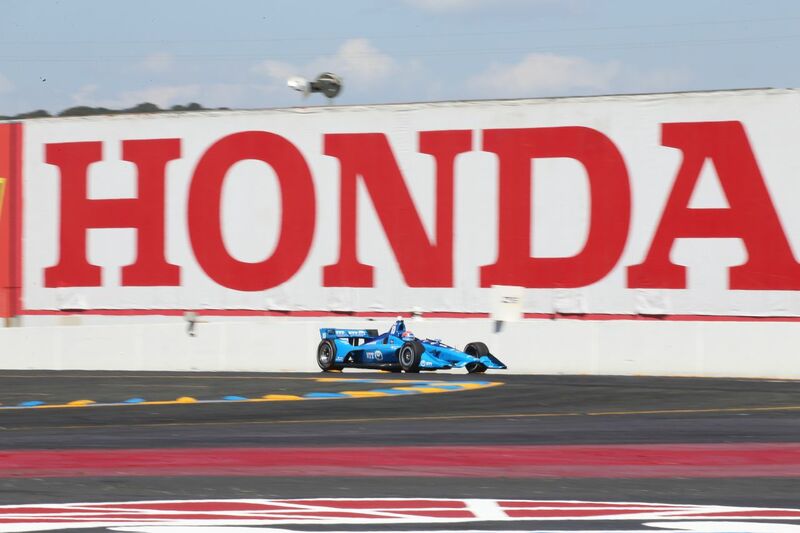 He duly lapped inside the top seven amongst the 25 high-calibre contenders in both of Friday’s practice sessions – not far adrift of Chip Ganassi Racing team-mate Scott Dixon, a previous pole-sitter and three-time winner around the 2.385-mile California road course, and the third-most successful driver in IndyCar history. 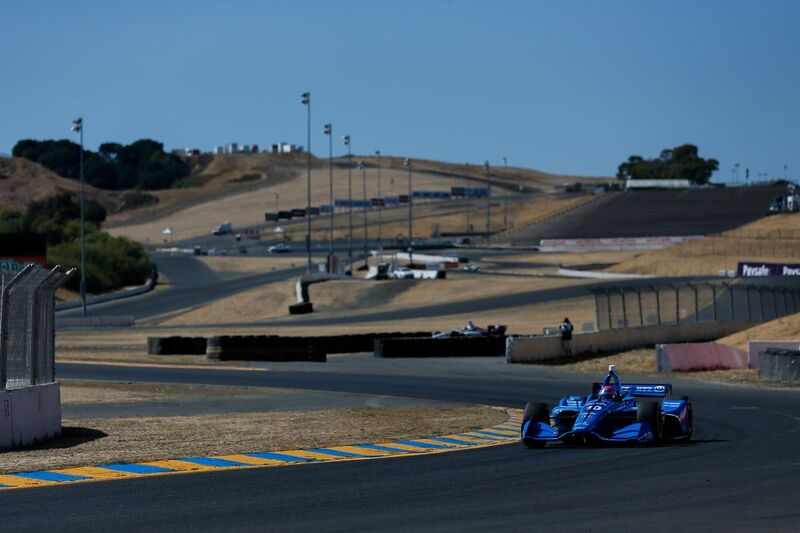 Qualifying, unfortunately, did not reward that potential, as a strategic gamble left Jones a disappointed and unrepresentative 14th on the starting grid for Sunday’s fiercely-disputed Grand Prix of Sonoma – a double points-paying contest to conclude the campaign. 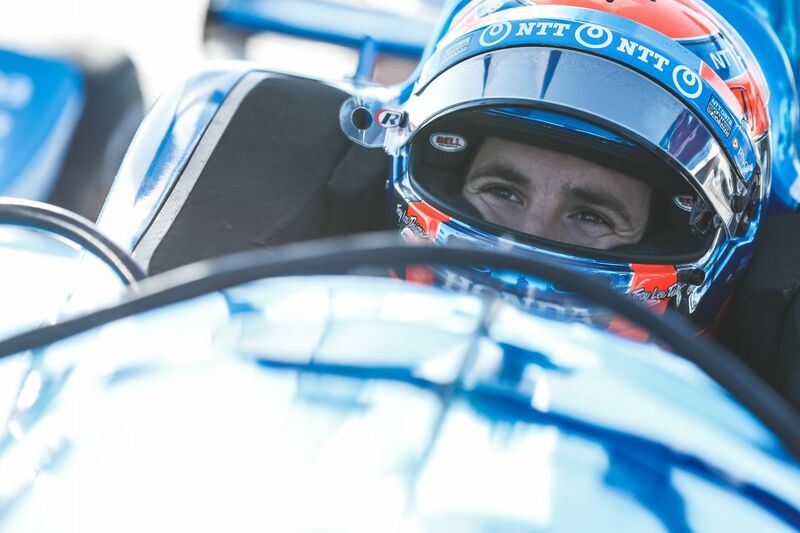 Undeterred, an impressively assertive opening lap saw the 2016 Indy Lights Champion and 2017 IndyCar ‘Rookie of the Year’ immediately gain three spots to 11th, and courtesy of a strong and consistent turn-of-speed, Jones was up to eighth by the time the first round of pit-stops had shaken out – sandwiched in-between former title-winners Sébastien Bourdais and Josef Newgarden. After pulling off eye-catching overtaking moves on Graham Rahal and Newgarden – the latter the qualifying lap record-holder at the track – Jones rose as high as second behind the wheel of his 720bhp Dallara-Honda single-seater before making his final pit-stop with 20 laps remaining, following which he continued to push hard to take the chequered flag in tenth position. That secured the 23-year-old Brit 13th spot in the overall standings – an improvement on 2017. As he reflects upon the race and the season as a whole, Jones can look back at a year of highs and lows, podiums and punctures – but above all, plenty learned and tremendous promise for the future. “I really wanted to end 2018 on a high,” acknowledged the 2013 European F3 Open Champion, who is being coached by multiple IndyCar Champion and Indianapolis 500 winner Dario Franchitti. 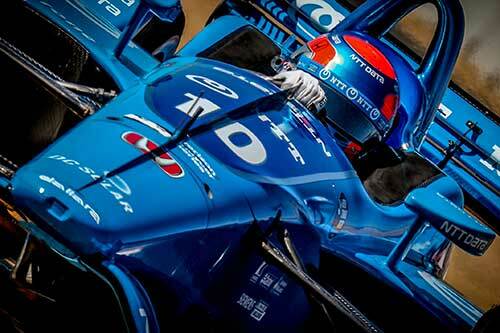 “P6 in first practice was an encouraging way to begin, but qualifying was super frustrating. We had a car that was quick enough to progress – potentially even as far as the Firestone Fast Six – but instead of being up at the sharp end of the grid, we wound up well outside the top ten at a circuit where passing is notoriously tricky. “The race itself went reasonably well. I got a good start and was able to make a few satisfying overtakes, and whilst we perhaps struggled a bit more with tyre degradation than some of our rivals, I feel we got the maximum out of the situation and it was good to sign off the season with another top ten. “It’s been a difficult year on the whole. We’ve had some very good runs but we’ve also been extremely unlucky, with several things that didn’t go our way and six races where we haemorrhaged points due to reasons ranging from punctures to mechanical issues and a couple of crashes – one of them while I was running second close to the end. Without that, I’m fairly confident we would have finished inside the top eight in the drivers’ table, and when you consider that six of the top seven overall are former champions, that would have been a pretty decent outcome. “On the positive side, I’ve learned so much from working alongside both Scott and Dario and the opportunity to draw upon their wealth of combined experience – and I’m a stronger driver for that. 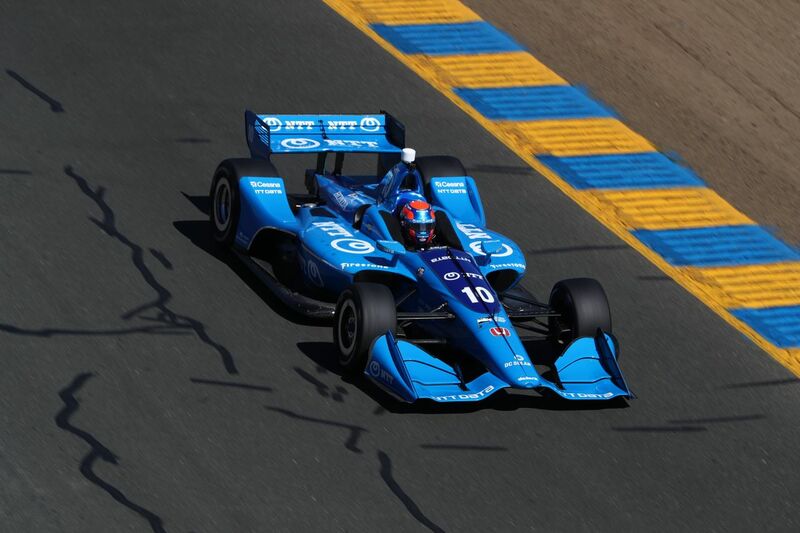 At the end of the day, Scott is the benchmark in IndyCar racing – as he has proven again this year – so to have out-qualified him five times in the same car and beaten him in a straight fight in Detroit was extremely rewarding, because not many people get the better of him. 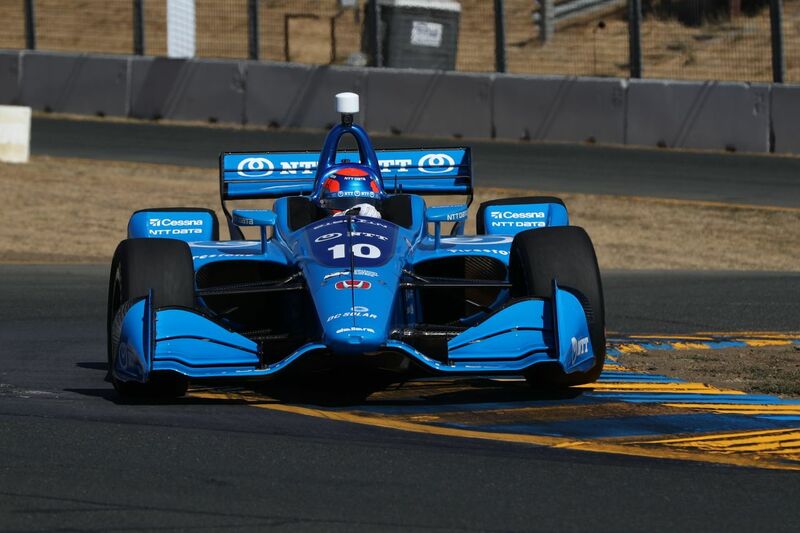 “It takes time to adapt when you move to a new team, but I’m more comfortable at Ganassi now than I’ve ever been and really feel at home, and all-told, I’m happy with my performance – when I’ve had a trouble-free weekend, I think I’ve shown what I can do.